Organised by Asian Strategy and Leadership Institute (Asli), the Lim-Chua Debate 2.0 is the follow-up debate from Lim Guan Eng vs Chua Soi Lek previous face-off on February 18. This time's debate will be different from the first: it shall be in English instead of Chinese, and there will be changes to the format of the public question and answer session. The moderator for Lim-Chua Debate 2.0 will be Asian Strategy and Leadership Institute (Asli) CEO Datuk Dr Michael Yeoh. A 3-man panel, comprising of academicians and editors, will then be allocated with 20 minutes to ask question to each debater. Finally, the public will get their turn of 30 minutes to pose their questions. There will also be an entrance fee of RM88 to watch the event. 500 seats are up for sale on a first-come, first-served basis, with registration starting from today. For Lim-Chua Debate 2.0 ticket sale enquiry, please call (03)-2093-5393. 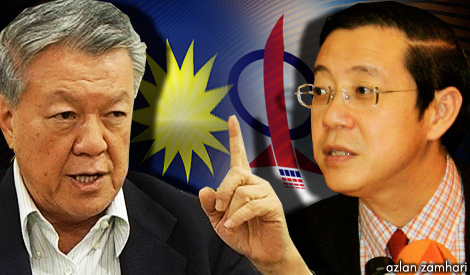 Do you like Lim-Chua Debate 2.0 "DAP vs MCA: Whose policies benefit the country more?"